A lovely spring day today, daffodils swaying gently in the breeze, the air gently warmed by the morning sun, particulates drifting lazily out of the tailpipes of stationary taxis as you zip past them through road junctions that are "perfectly negotiable if you keep your wits about you." 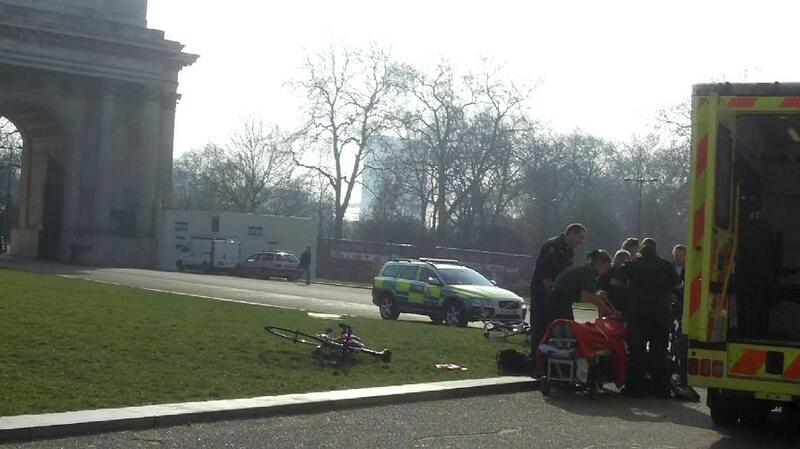 Hyde Park Corner, police and ambulance on the scene and the victim about to be blue-lighted off by the looks of it. 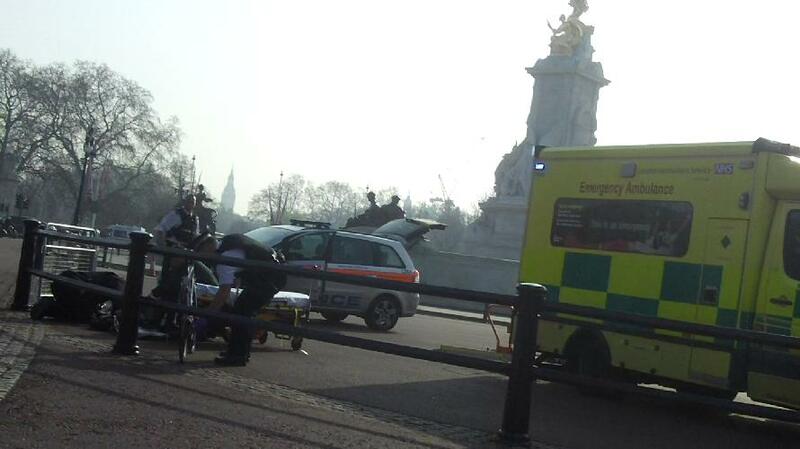 Another cyclist, outside Buck House. Again 2 emergency services in attendance. The guy was on a stretcher but talking. 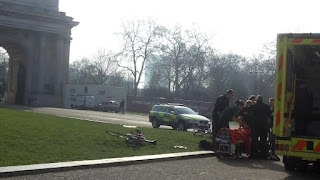 Hardly evidence that cycling in London is getting safer if I can stumble on the scene of two serious collisions in the space of five minutes riding. I wish both victims a speedy recovery. Not good. Wishing both a speedy recovery. Had a minor off myself with a car turning out of a side road last night. 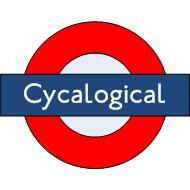 I was heading down in L2 passing a stationary coach on CS7 to suddenly be confronted by them pulling across my lane. I had a near miss with a Taxi the other day, he was speeding through a gap that was barely there. I have his registration, is there anything I can do with it? Its just proof that cyclists need to keep hammering at those in authority until the nail of change seats itself. @Mark S - That's CSH#7 all over. Hope you and the bike weren't too badly damaged.